Since 2001, we've been building an industrial-strength health information network designed to increase patient safety, lower costs and improve quality of care. Find out if your EHR is enabled for Real-Time Prescription Benefit. Surescripts transmits nearly 13.7 billion transactions annually, including nearly 4.8 million e-prescriptions daily. But scale alone isn’t what makes us different. It’s the unprecedented participation we’ve achieved across the healthcare marketplace. We call it the Surescripts Network Alliance. The Surescripts Network Alliance includes virtually all electronic health records (EHRs), pharmacy benefit managers, pharmacies and clinicians, plus an increasing number of health plans, long-term and post-acute care organizations and specialty pharmacy organizations. Medication History intelligence that is aggregated and delivered to the point of care gives a more complete picture of patients’ health history. Find insights on topics such as interoperability, prescription accuracy and the opioid epidemic. Our leaders inform and encourage smart health IT policy at the national level. Find opportunities to connect with Surescripts throughout the year and around the country. Get the latest updates on how the Surescripts Network Alliance is advancing healthcare. Our history, scale and experience allow us to observe the big picture and give us early insight to emerging challenges, their potential impact and how to navigate them across markets. Our nation is in the midst of an opioid abuse epidemic. Facing a public health crisis, see how we are taking action through a combination of technology, education and public policy. Find out why a truly interoperable network is required to provide actionable patient intelligence that leads to better healthcare decisions, wherever they are made. Learn how e-prescribing will realize its full potential by continuing to drive broader adoption and better data quality for the benefit of every pharmacist, prescriber and patient. Prescription price transparency is critical to preventing “sticker shock” at the pharmacy. See how we can positively impact medication adherence and patient safety. We don’t exist to merely move patient data around—we’re here to serve and share the wealth of information that makes healthcare better for all. 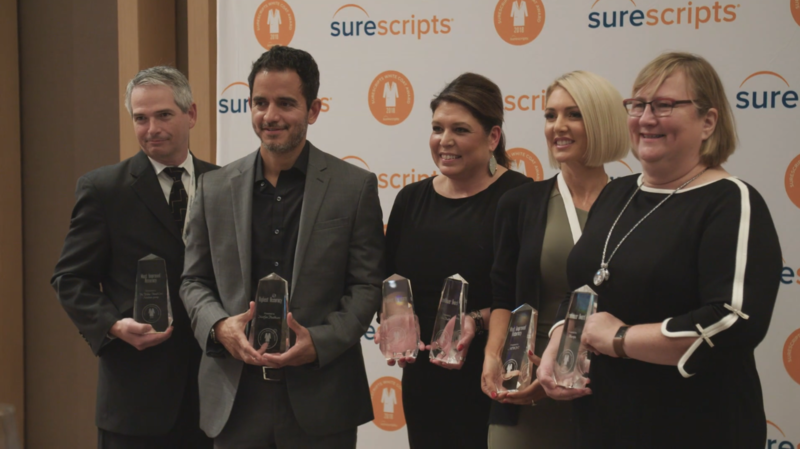 See how the Surescripts Network Alliance is working together to advance healthcare.